AIE College International (AIE) was founded in 2002 by a group of experienced and qualified educators and community leaders. 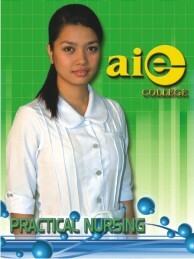 AIE currently has 15 campuses and a faculty and administrative member of over 300 in the Philippines. AIE is focused on providing affordable education to the millions of children, teenagers and adults in the developing and under-developed countries so they can improve their economic standards and be active contributors to their country and community. AIE conducts 2 Year Diploma Programs and 4 Year Degree Programs for fulltime on campus studies. The Diploma programs are approved by TESDA (Technical Education School Development Authority) and the Degree programs are approved by CHED (Council of Higher Education). 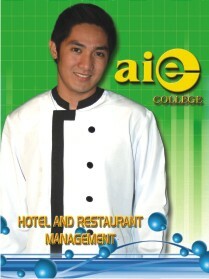 Upon graduation, students would have also completed similar programs conducted by AIE students will receive Diplomas or Degrees which are issued by AIE College International. With AIE Diploma or Degree certificates, AIE students have the great advantage and flexibility to apply work locally for some experience and then overseas for better pay and economic future if they wish to anytime. In addition to the obvious benefits of running your own business, you will experience the personal fulfillment that comes with reaching students in need of guidance, and personally making a difference in their lives. The biggest opportunity here is not just financial – it’s making a difference in a student’s life by helping him/her to reach his/her dream and future success. Combined with your personal devotion and enthusiasm, there are no limits to your success and the success of the young people that come to you for help. The higher education industry is a multi-billion dollar industry and one of the most lucrative. By operating an AIE College franchise, you will be tapping into a booming sector that is just beginning to see its ultimate growth potential. We are seeking highly motivated, success-oriented individuals who share our high standards for commitment to excellence. If this sounded like you, and you want personal independence, superior earning potential, and the opportunity to provide a valuable and respected service to the community, then operating an AIE College Franchise may be right for you. If qualified, financing is available through third-party lenders. Offered by SB Corporation. With financial capability to invest in a college.